On the road or track, we can put you up front. No BMW tuning firm anywhere in the U.S. has prepared as many winning BMW's for professional, national races as Korman. Whether you need a stock, stage 1, stage 2, stage 3, stroker, club race, full race, street turbo, or a performance engine designed to pass state emissions testing, call us first! Customers from around the world ship their engines to Korman for rebuilding. Below are some of the reasons why. More than 45 years of BMW street, rally, autocross and racing engine experience goes into each Korman engine. Our R & D on the track results in improvements that add reliability on the street as well. Quality parts, precision machining, exact blueprinting and expert craftsmanship are our key ingredients for reliability. Where we add extra power, we build in additional strength. Our customers offer the best testimony as to the reliability of our engines, just ask one! Our engines are hand assembled one at a time by dedicated, experienced technicians. Closer attention is paid to small details than can be lavished on an assembly line engine. The same technician who builds our full race engines is responsible for the assembly of our most modest stock rebuild, and he takes the same pride in each one. All aluminum external engine components (valve covers, intakes, front engine covers, etc.) are glass peened providing a better than new appearance, and all hardware and brackets are zinc plated with a gold tone finish which also helps prevent rust and corrosion. Blocks are finished in Korman blue. Your Korman engine will be almost as attractive on the outside as it is on the inside! Our warranty on most rebuilds exceeds that of a BMW reman unit. Most Korman engines are supplied with a 2 year/24,000 mile warranty. This warranty does not extend to engines and parts used in competition in on track events. Also excluded are failure due to abuse, neglect, or normal wear items. 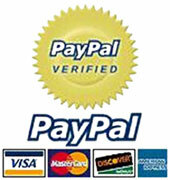 Full warranty terms are provided on the back of each invoice. "Engine rebuilt by unknown mechanic in unknown garage using unknown parts and assembled to unknown tolerances"
You've seen the ads that simply read "Korman Engine," with no further explanation necessary. Our customers are proud of their Korman engines, as are we! Cylinder walls are slightly distorted by the tension of head bolts. Boring and honing with the cylinder head off will produce a block with round bores when un-assembled, but slightly out of round when assembled. In serious race engine preparation solid torque plates are bolted onto the block at factory torque specs to simulate the cylinder head bolt loads. Boring and honing is performed with the torque plate installed to produce a bore that will be more perfectly round when the cylinder head is installed. This produces better ring sealing and longer ring life. All Korman engines, from stock to full race, are machined using a torque plate. Valve seat grinders in common use are not appropriate for BMW cylinder heads. BMW valve seats are so hard that they spoil the surface of the grinding stones causing rough and imprecise seat surfaces. We use special valve seat equipment which cuts rather than grinds the seats. Very smooth and precisely machined seats are obtained. We use three or more angles to improve flow on high performance heads. Valves are also "cut" in a similar manner, providing two completely new mating surfaces. We carefully check clearances and tolerances throughout each engine to ensure that all will be within BMW factory specifications, or in certain high performance engines, within our tested, proven specs for these applications. The strength and durability of BMW engines comes from the excellence of their design, form the exactness that BMW demands in the size tolerances of the parts used, the precision of their machining processes, and diligence in measuring and assembling to very precise specs. This extraordinary attention to detail is what distinguishes BMW engines. It is why they were able to win a Grand Prix Formula One Championship with a production block. It is the secret of their success in their Formula 2 and Group A M3 engines. This is the reason BMW engines produce more horsepower per cubic inch than most other production engines and why you can drive them harder and longer. Our engine building success comes from our thorough understanding of the technical requirements of BMW engines and our diligence in applying this expertise in our inspection, machining, and assembly of your engine. *included only on stock rebuilds of carbureted engines. Fuel injection pumps not included. Our goal is to provide you with an engine that will offer many miles of driving pleasure with no unexpected surprises. Engines are easily shipped truck freight. The best way to package your engine is to strap it to a pallet and wrap the exterior in plastic or bubble wrap. Palletized engines will usually stay right side up in transit, where boxed units may be put in a variety of positions. If you prefer to ship your car to us, please see our list of car transport companies and phone numbers under CONTACT INFORMATION. We will be happy to provide transportation to and from the airport (Piedmont Triad International) or arrange a rental car for you. Our standard gearbox rebuilding includes complete disassembly, thorough cleaning, and close inspection of all parts. We replace the synchro rings, bearings, seals and gaskets with original BMW parts. Other worn parts are replaced as needed at additional cost. The transmission is blueprinted, shimmed torqued and pre-loaded precisely to BMW specifications using the correct BMW special tools for each task. We have read that BMW gearboxes have inherent weaknesses in bearings and synchros. In over 33 years of experience with BMW gearboxes, we can not agree with that opinion. We typically race all season with the same stock BMW gearbox and usually only change the synchros during between season winter rebuilds. We race more than a season on the bearings some claim are weak, and with engines double the original horsepower! Korman offers rebuilds warranted for 2 years/24,000 miles for all BMW transmissions, from the old BMW Porsche-type synchronizer gearboxes to the newest M3. And, you'll be surprised how much you can save over a factory reman unit! Differentials with normal wear do not usually require replacement of the ring and pinion gears. Our standard rebuilding includes complete disassembly, thorough cleaning, close inspection of all parts, replacement of all bearings, seals, gaskets, crush sleeve, and lock ring. Our rebuilding includes meticulous attention to correct gear lash, gear contact patterns, precise pre-load of bearings and exact torque specifications. We provide a 2 year/24,000 mile warranty with our rebuilds, but expect them to last well over 100,000 miles. If you have a limited slip differential, we can also refurbish the limited slip carrier while rebuilding your differential (additional charges apply). As BMW limited slip units wear, the percentage of lock (25%, 40%, etc.) gradually drops off. We can restore your limited slip assembly to original lock, or increase it to 50 or 75% for performance applications. The reduction in slippage will lower your differential lubricant and bearing temperatures as well as your lap times! If you want to change your differential gearing or add a Quaife unit, combining these operations with a rebuild saves you both time and money. Racing Teams use different gear ratios to suit the characteristics of each track and obtain maximum acceleration. Successful autocrossers know the advantages of a quicker ratio, but as a street/highway performance option it is often overlooked. This may be because it seems more difficult than changing computer chips or adding a suspension package. Also, many local shops and even dealers lack the special tools and expertise to rebuild and change gear sets in BMW differentials. With our racing experience we are very proficient with BMW differentials and we have the special tools needed to make modifications correctly. UPS and other carriers can pick up and deliver your differential at your front door. The usual diff removal or installation time for most BMW's is 1.5 hours. Changing to a quicker ratio provides faster acceleration in all gears at all rpm's. It does not affect engine emissions or idle speed and can make up for changes in tire diameter. Some BMW models were originally geared very long for increased fuel mileage. These cars benefit the most from quicker ratios. Generally, longer ratios yield better fuel mileage and shorter ratios offer more acceleration and higher fuel consumption. In practice, the fuel difference is often slight. If you have such a long ratio you must frequently downshift to pass or accelerate quickly, then in reality you do not get the theoretically higher fuel mileage that the longer ratio would have you expect. And, if you switch to a shorter ratio for more acceleration, you may not burn much more gas than before, as you are now able to upshift more quickly into the higher gears. In a similar way, you would expect that changing to a shorter ratio for more acceleration will reduce your top end speed a you would run out of revs in high gear. However, few cars have enough top end torque to pull full revs in high gear. Changing to a shorter ratio will usually enable the engine to pull more revs against the high speed drag resistance. Though you will turn more revs per mile, your actual top end speed may be as good or better than before, especially if you have added some additional performance improvements. Korman recommends a +/- 7% gear ratio change for most street driven cars. To obtain a percentage change, divide your original gear set ratio by your proposed new gear set. The resulting percentage also equals your RPM change at a given speed. Our in house engine dyno is an essential tool in our R & D department. At Korman, it doesn't make any additional horsepower until the dyno says so! While engine dynos have several advantages over chassis dynos, the primary benefit is accuracy and repeatability. For each dyno run, we measure not overall room temperature, but temperature and humidity of the air flowing directly into the engine intake, as well as barometric pressure, oil temperature, oil pressure, water temperature, fuel pressure, etc. Our dyno readings are then fed into a computer program which applies standardized S.A.E. correction factors for variations in temperature, humidity, and barometric pressure. These controls allows us to attain repeatability accuracy of about 1%. Chassis dynos feature easy access, but have a few drawbacks which are inherent to the design. (READ: take chassis dyno figures with a grain of salt, not just absolute numbers, but comparisons as well) Chassis dyno operators must estimate to adjust for these variables. Tire expansion/rolling resistance-As tires heat up over the course of a run, the increasing temperature and pressure cause the tire to expand and the rolling resistance and diameter to change. There is also a varying amount of tire slippage. It is difficult to estimate these effects on power at the dyno rollers. Driveline Temperature-As operating temperatures rise, coefficients of friction change in the differential, transmission, etc. As with tire expansion, these changes are difficult to accurately adjust for. Intake Air Temperature-Very few chassis dyno installations are configured to accurately control and measure intake air temperature and humidity. A fifteen degree variation in air temp and fifteen percent change in humidity will produce a 2.5% variation in engine output. On an E36 M3 engine, that's 6 horsepower. Our engines are based on designs tested and proven on our dyno. It is not necessary to dyno subsequent engines of the same design. However, there are some advantages to having your engine dyno tuned. 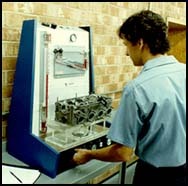 A dyno tuned engine is fully run in before testing under load. You are not only assured of precise tuning for maximum performance, but your engine is delivered ready for immediate high performance use. You have no further break-in period. Korman Autowork's dyno tuning procedures include a lengthy run-in time. During this break-in period the cylinder head is retorqued, valves re-adjusted, compression tested, oil pressure monitored, and temperatures closely controlled. Then under close observation, engine speed and load are gradually increased until the engine is ready for full load testing. One more cycle of adjustment and compression tests and we begin power runs. Customers are provided a detailed dyno chart showing engine specifications and horsepower and torque curves. Each dyno chart is certified by Ray Korman. The general school of thought on cylinder head and intake manifold porting is that bigger is better. Many machinists will simply enlarge and finish the ports and proclaim an estimated increase in flow and horsepower. This doesn't always work. We've tested heads reworked by others and found that in many cases they flow WORSE THAN A STOCK HEAD!!! Our porting R & D is done on a flow bench, providing real numbers to support our machining. Flow testing is done with the valves installed to the specified lift the cam will provide. The effectiveness of valve angles and valve guide modifications is also verified. Other considerations are the taper and finish of the port. Incorrect taper will slow the velocity of the incoming charge, reducing cylinder filling and costing power. Improper finish of the intake ports will cause fuel to pool, resulting in poor idle and warm up running. We offer cylinder head and intake porting not only in our own rebuilds, but also for the DIYer who prefers to assemble his own engine. Either way, you are assured of an effective, durable job which will help you extract the most power out of your engine. In some instances, the shape of intake and exhaust manifolds prohibits a thorough porting using convential methods (ie: small six and V-12 intakes). In these cases we utilize Extrude Hone to accomplish the desired result. Our volume with this company allows us to offer you excellent pricing on this premium service.